Escape the crowds and enjoy a peaceful stroll through the impressive building that houses the Museu Maritim. The former royal shipyard displays photos, paintings, model ships, maritime equipment and instruments, full size boats, and temporary exhibits. 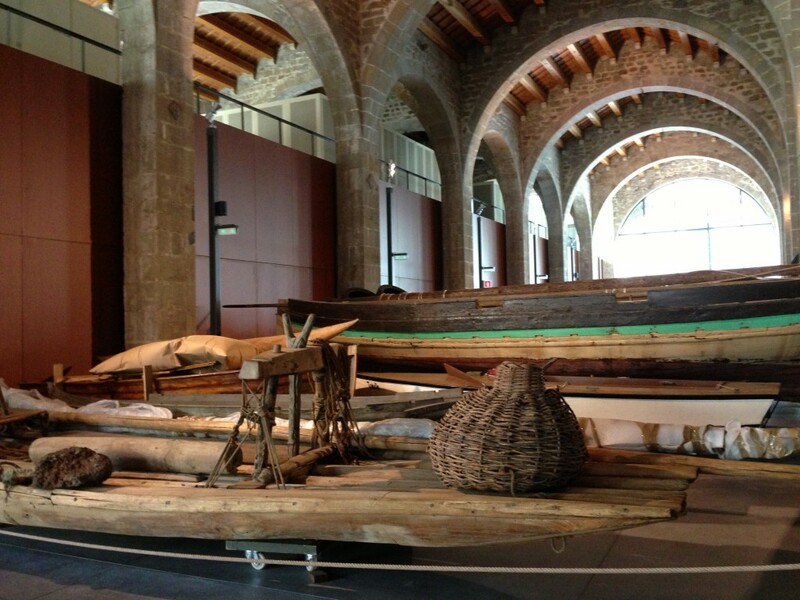 The Maritime Museum showcases the history and culture of the Mediterranean maritime. The beautiful, medieval building has an interesting background. For many years it was the royal shipyards and then became an armory and military barracks. The architecture was as interesting as the exhibits. 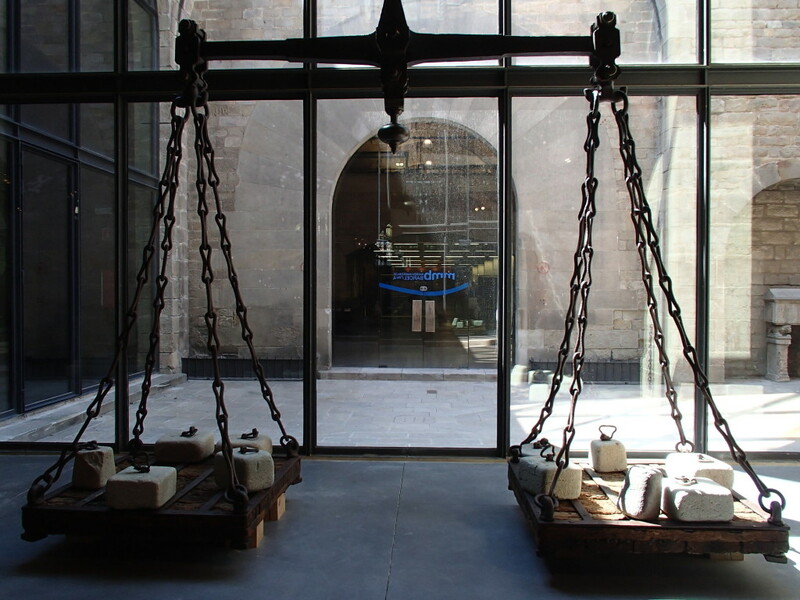 The exhibit A Voyage Overseas focuses on all things related to traveling by sea for work and pleasure – the reasons we travel, our expectations, and how we feel about travel. 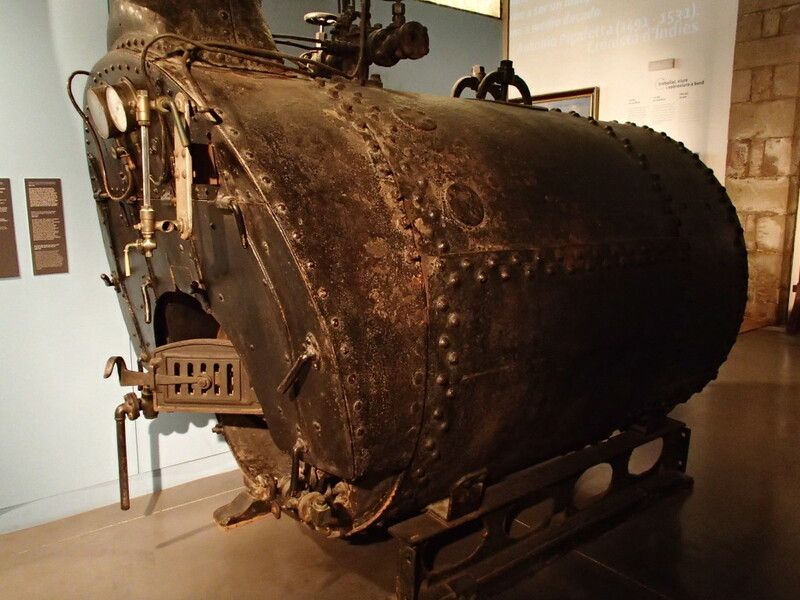 There are model ships, navigation instruments, maps, engines, photos, paintings, and displays like the evolution of luggage. By the time we left the exhibit, Lori was in the mood to go on a cruise! In a large, open exhibit hall with high ceilings and rounded arches there are several full size boats on display. 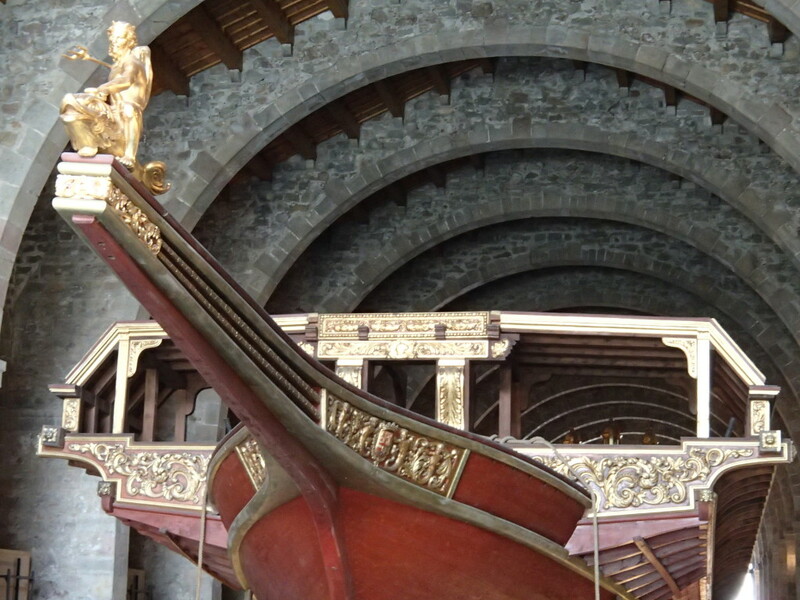 The most impressive sight is a reproduction of the 16th century ship, Royal Galley of Juan de Austria. 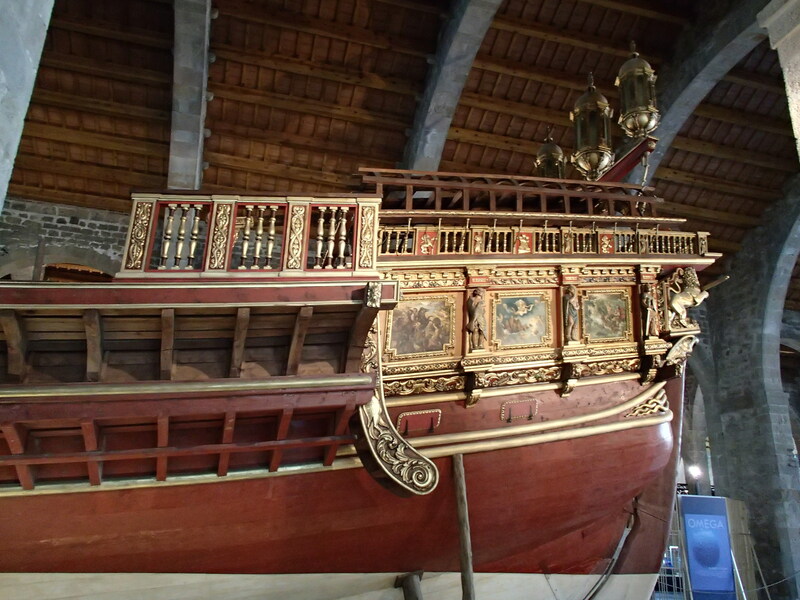 This ship was instrumental in the Battle of Lepanto which ended Turkey’s control of the Mediterranean. The ship is 60 meters long, has 2 masts, and 59 oars. Planet Ocean is a traveling exhibition by the GoodPlanet Foundation that focuses on the beauty and vulnerability of the oceans. The exhibit is a series of incredible photographs by Yann Arthus-Hand Bertrand and Brian Skerry, accompanied by posters about nature conservation. 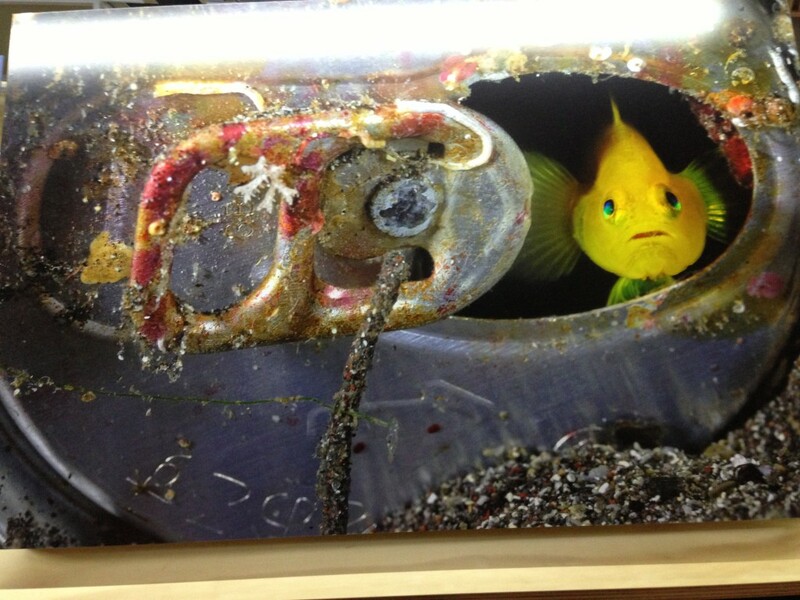 One photo showed a bright yellow fish hanging out in an old soda can. One message said, “Fertilizers used by intensive agriculture run off to the sea create algae blooms that already caused the suffocation of 400 marine areas in the world by rotting. Let’s favor organic products in our daily life.” The foundation has also produced a film and book. 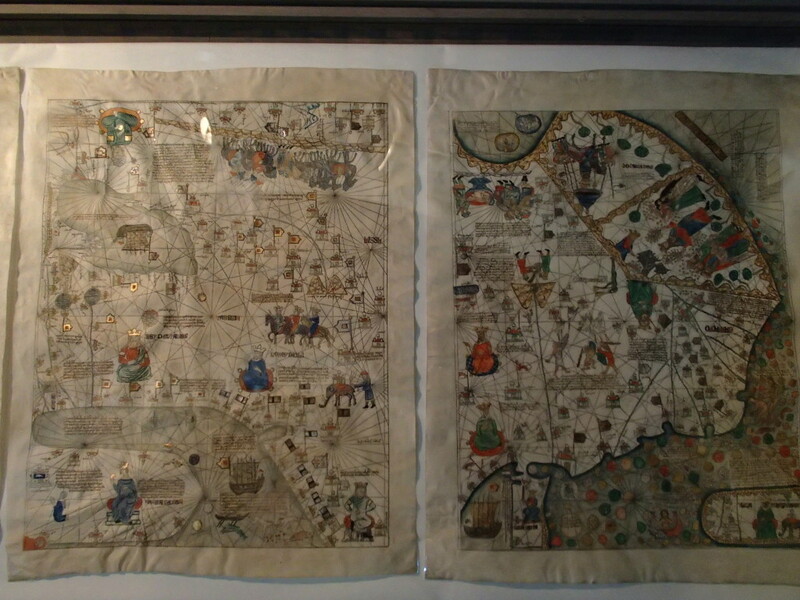 If the exhibit happens to be in your area, we recommend that you check it out. In 1831 Charles Darwin began a 5-year journey around the world on the HMS Beagle. At each destination, he observed and documented plants and animals and collected specimens, which served as the foundation for his book On the Origin of Species. 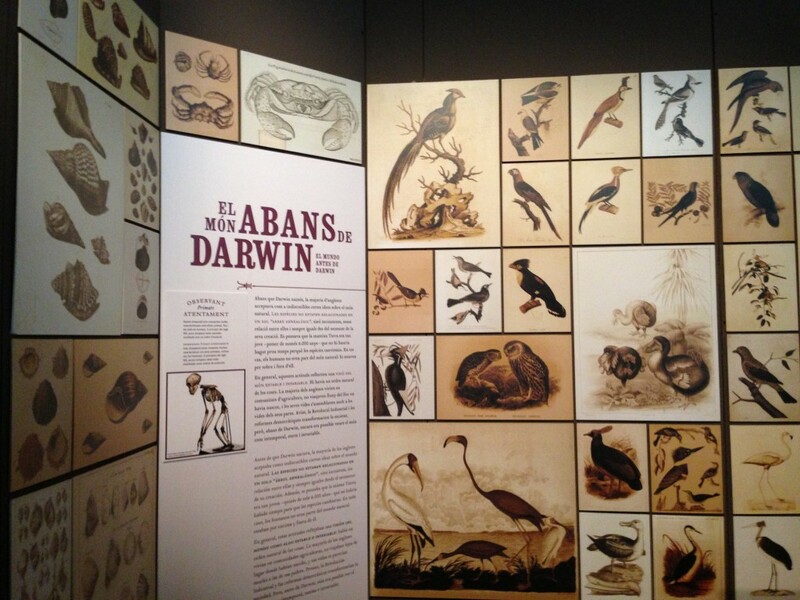 The exhibit features drawings, skeletons, fossils, models, and a reproduction of Darwin’s office. This was our least favorite exhibit. It didn’t seem to relate to the theme of the museum, so we just took a peek. It is a photo exhibit that focuses on women’s health. The photos show women in different age ranges, along with written information about the social aspects of their lives and the impacts of medical and scientific advances. 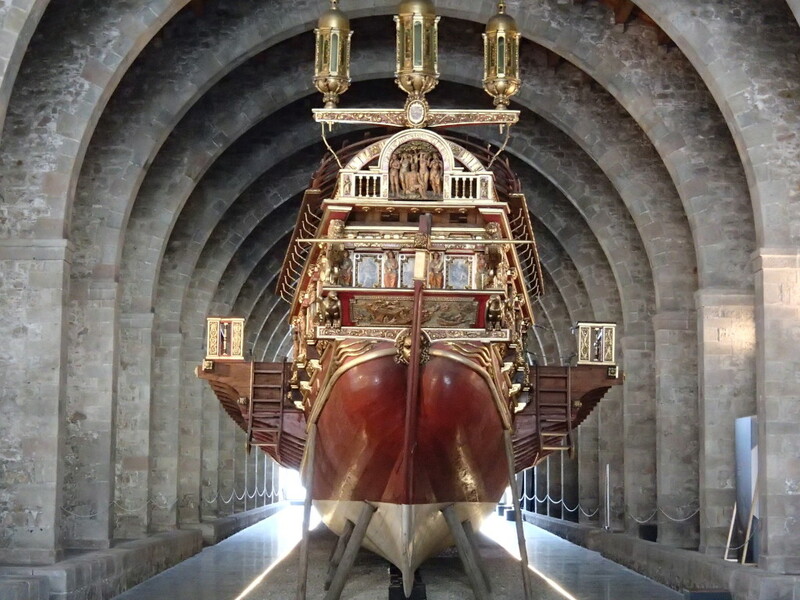 After visiting the museum, you can walk a few blocks to Port Vell and go on board the Santa Eulalia, one of the oldest sailboats in the world. 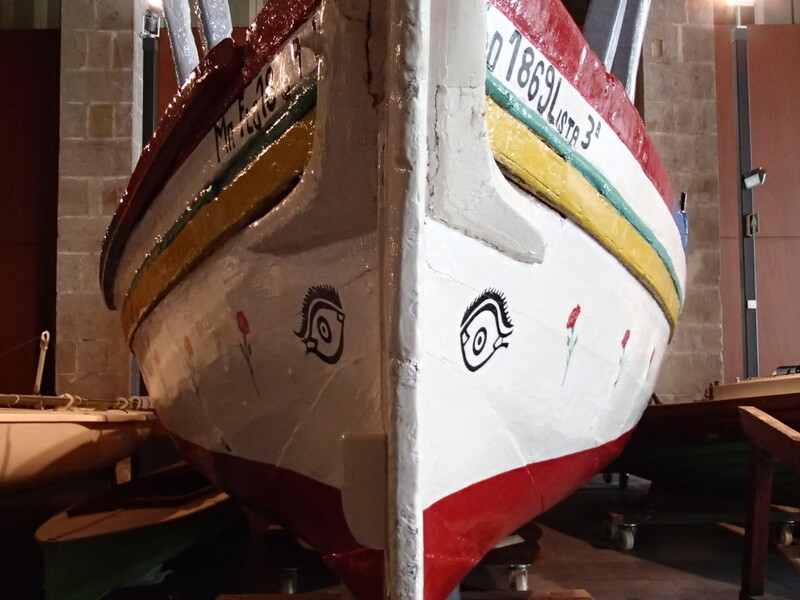 The ship was built in the early 1900s and was used to transport goods in the Mediterranean. Over the years it changed names, cargo, and ports, and was even used by smugglers. The museum purchased and renovated the ship in the late 1990s.